Agecroft Head 2016 - race results now on the Agecroft Head News & Events page. 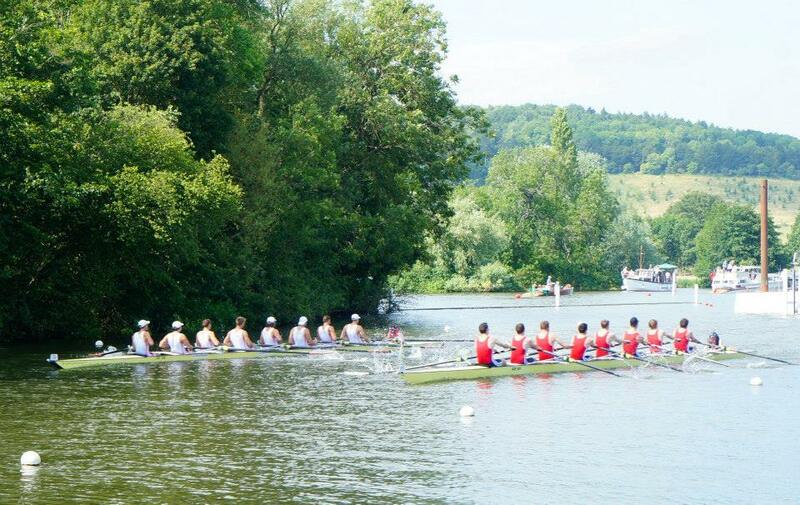 Henley Royal Regatta 2015 (Weds 1st - Sun 5th July) was one of the best ever for Agecroft Rowing Club. The club had a great representation on each day of the regatta, in the form of four crews over three events. 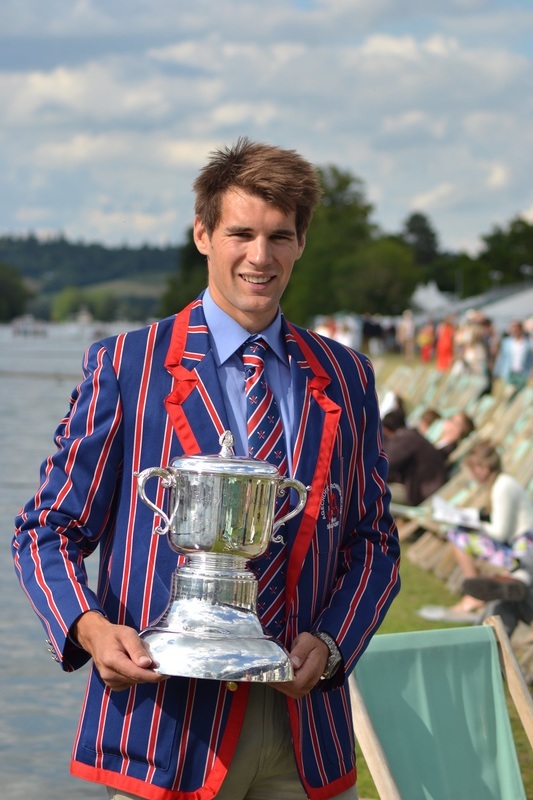 The 2015 entry included the Thames Cup eight, two composite quads in the Prince of Wales Trophy, and Graham Thomas of Agecroft in the GB quad defending their title in the Queen Mother Challenge Cup. 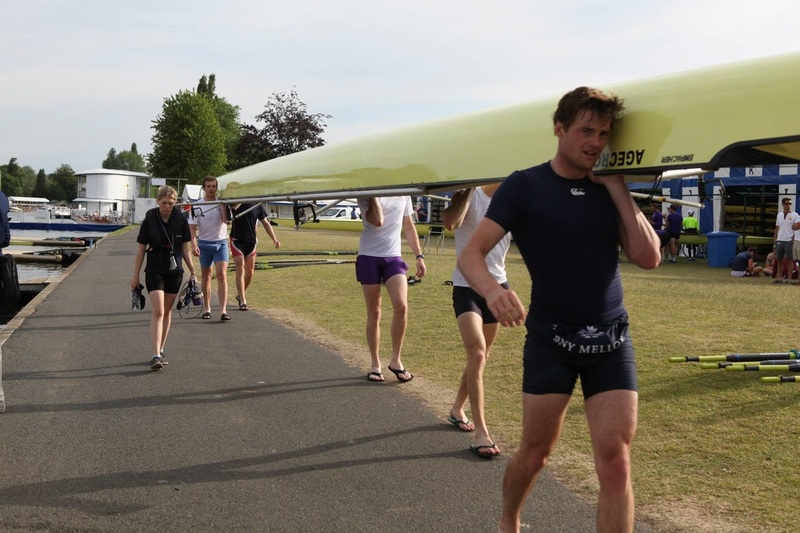 The event kicked off on Wednesday, the hottest day of the year so far, with the Thames Challenge Cup. 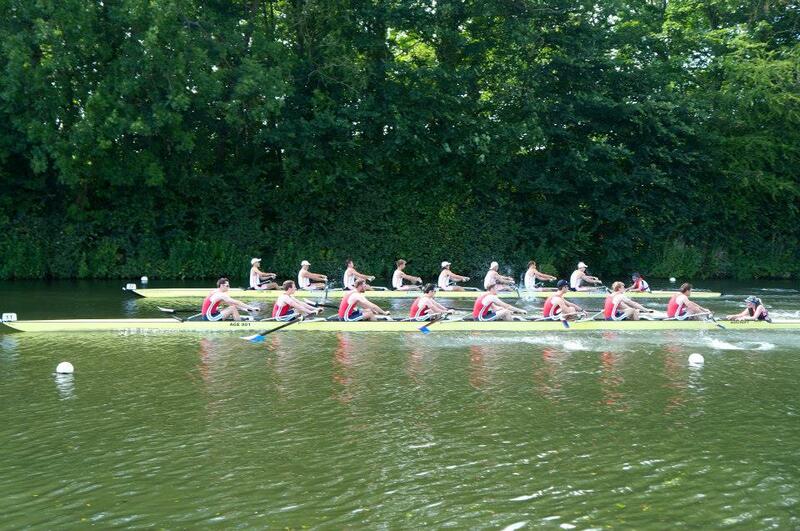 The Agecroft Men were racing against a strong crew from London Rowing Club. The lads raced at 10am, but the sun was out and the temperature already high, as were the expectations on this crew. 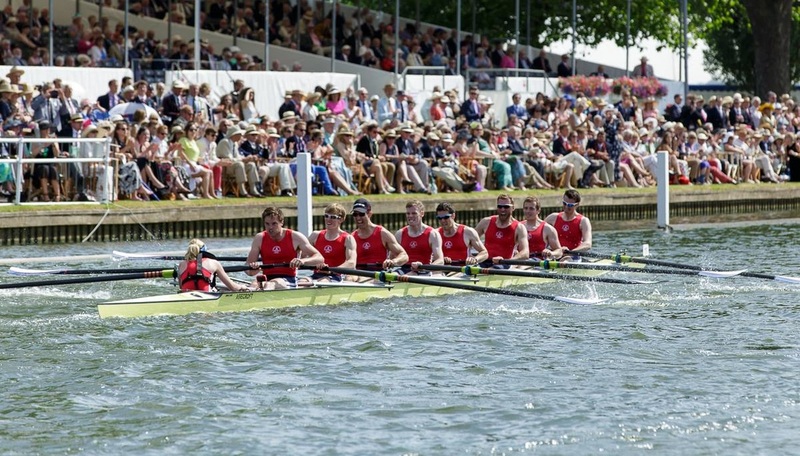 Striking 43 strokes per minute off the start, they moved to a length up on London by the end of island, before finding their rhythm that saw them open the gap to a comfortable win by 2 ¼ lengths. One race, one win, bring on Thursday. 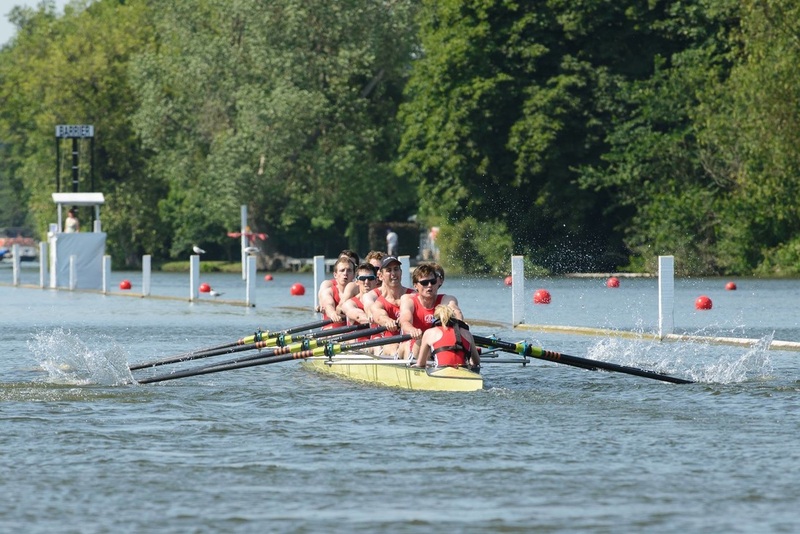 Thursday was action packed for Agecroft with the two Prince of Wales quads kicking off their campaigns and the Thames Cup eight following up their first round victory with a tough race against a selected crew from Leander. First up Agecroft’s Zak Lee-Green was stroking a composite quad with fellow lighties from Imperial College London against composite Molesey Boat Club and Sir William Borlase. Leading from the start, they were a length up by the end of the Island! Not bothered by the spitting cloud or the drones whirling around them, Zak led his three crewmates to victory by ¾ length, having taken down the pressure significantly in the later stages of the race. Next up on the programme for Agecroft was lightweight Hugh Gallie and three heavyweights from Cardiff against an overseas crew from the University of Virginia and Potomac Boat Club. Hugh said: "The first race is always very tense, especially against an unknown crew; we had an okay start, lots of run on the boat and plenty of power”. 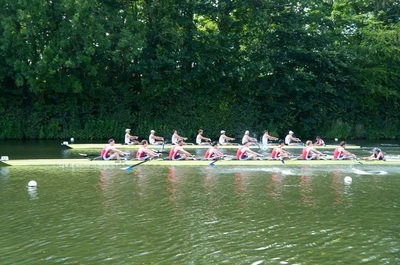 The result was a victory for Agecroft and Cardiff University by 1 ½ lengths. 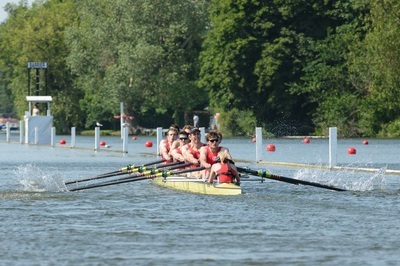 The third race of the day for Agecroft was the Thames Cup Eight against Leander Club. Both crews went out hard and at the end of the island it was dead level. 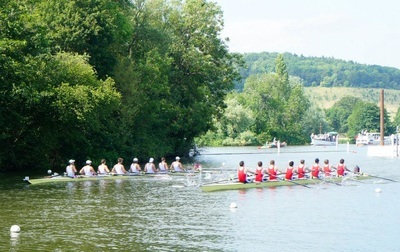 Leander used their power to push out to just over a 1 length advantage but the Agecroft boys were having none of it, they fought their way back to ½ length and took the fight right to the line. Leander unfortunately had enough to hang on to win. 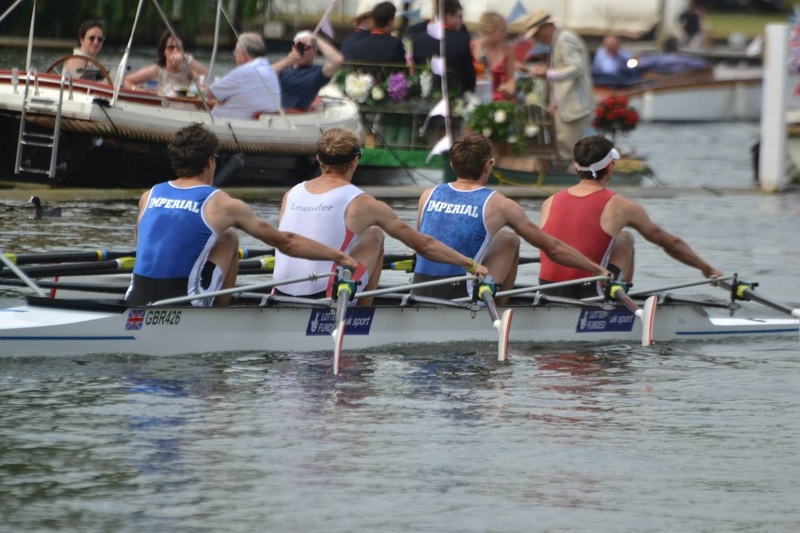 It was the closest race of the Thames Cup in 2015 and made Matthew Pinsent’s highlight reel for the day. 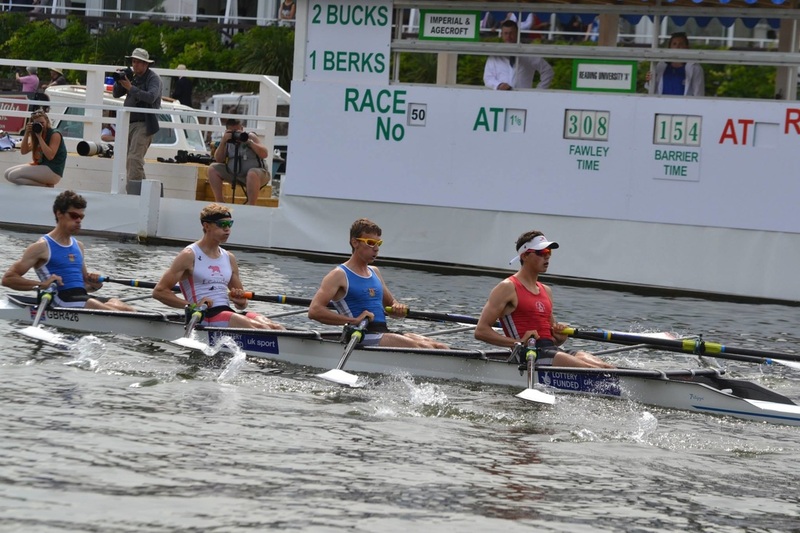 Friday saw the two Prince of Wales quads continue their campaign. Zak Lee-Green and his fellow teammates from Imperial College London were victorious against a big crew from Reading University. Agecroft / Imperial took the race by a verdict of 2 ¾ lengths. 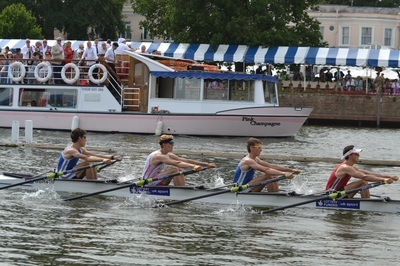 Hugh Gallie and his Cardiff Student teammates were up against it racing the favourites Leander club. 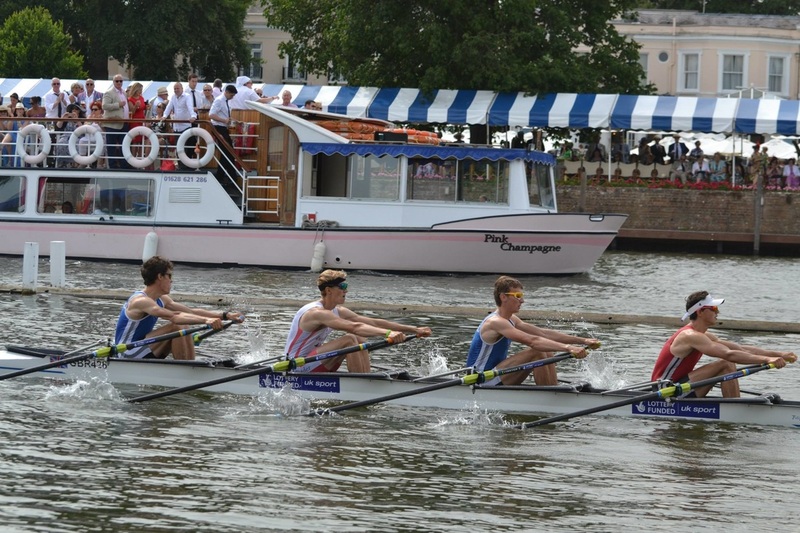 The boys did themselves proud but with the Leander crew matching the barrier record it was a big ask to come back and they were eventually beaten by 3 lengths. Agecroft’s Zak Lee-Green raced in the Semi-final of the Prince of Wales against a strong composite from Leander and Oxford Brookes. Zak stroked his crew well all the way down the course and the race remained close fought. 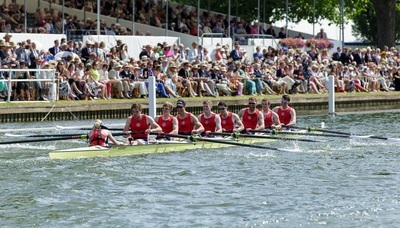 Unfortunately the opposition were too strong and Agecroft/Imperial was beaten by 2 lengths. Graham Thomas raced in the Queen Mother Challenge Cup in the GB quad against the German Quad. The defending champions defended their title in style and the win was never in doubt. 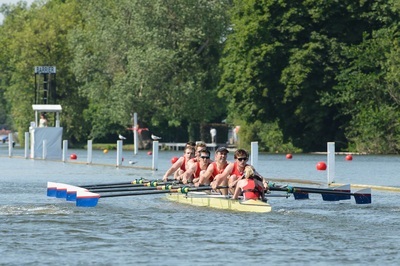 The GB quad won the race by 5 lengths and Agecroft's Graham Thomas proudly picked up his second Henley Winners Medal. It was a fantastic Henley week for Agecroft and the boys are raring to come back next year to build on the success of 2015. Watch the highlight reel from 16.40 and see the Men's squad's epic race against Leander.